Clean Swift provides expert services for all of your exterior cleaning and maintenance needs. Restoration and maintenance of house and building exteriors. We specialize in Soft Stucco Cleaning. Brick, stucco, wood, concrete, sidewalks, pavers, and retaining walls. Deck cleaning and coating (including wood, composite and Trex decking). We clean your leaders and gutters. 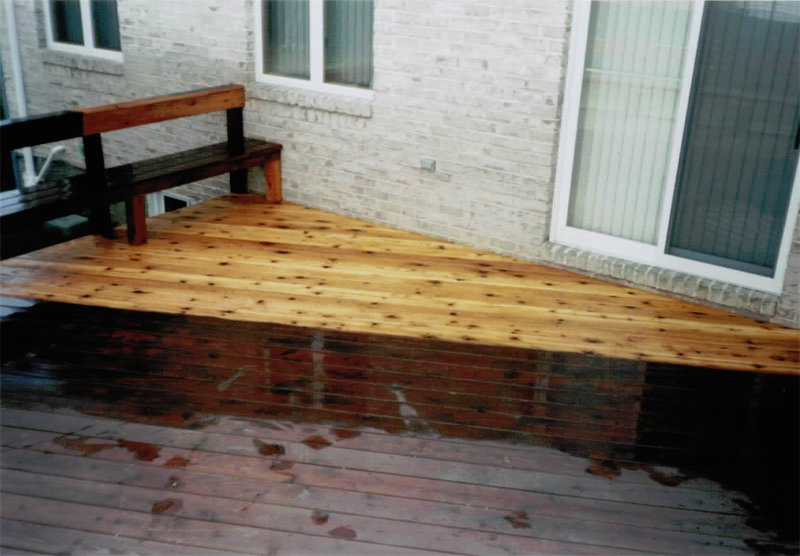 Restore the original beauty of your deck. Wood, composite, Trek deck, we do it all! Soft stucco discoloration and mold? Dirty awnings, watch out, here comes Clean Swift! Is your sidewalk covered in gum and stains? We can clean that! Was your building mistaken for a canvas? Window cleaning. Of course we do! Dirty or lackluster brick, we can fix that! Restore your home to its original beauty! We can take care of that, no problem! We will power wash your pavers and add instant curb appeal to your home! Restore your retaining walls after a long winter and get ready for spring! We are experts in graffiti removal with environmentally friendly products! We love large projects and ladders! Clean Swift is on it's way!